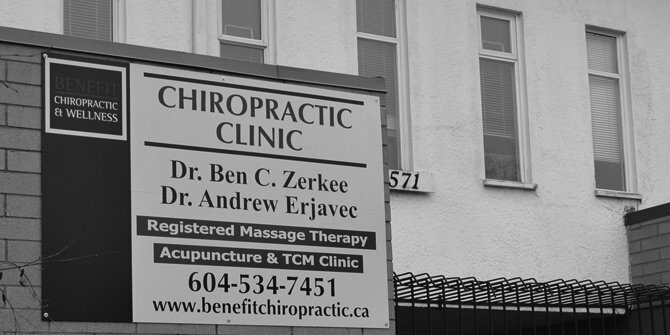 Dr. Ben Zerkee grew up on Vancouver Island in Courtenay, BC. He completed his Bachelor of Science degree in Kinesiology from Simon Fraser University in 1997. Dr. Zerkee then earned his Doctor of Chiropractic degree from Western States Chiropractic College in Portland, Oregon in 2000. Dr. Zerkee and his wife then moved to Langley, where he has been actively practicing since 2001. They continue to live in the Langley area with their two daughters. Dr. Ben Zerkee’s ultimate goal with chiropractic health care is to enable people of all ages, to carry on an active, healthy lifestyle that is pain and symptom free. 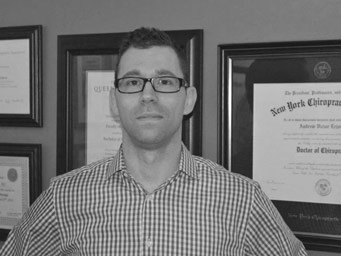 Born and raised in Waterloo, Ontario, Dr. Andrew attended Queen's University and obtained his Honours Bachelors of Science in Biology in 1999. During his time there, Dr. Andrew was a member of the Queen's Wrestling Team, and competed at the national level. He then attended New York Chiropractic College and graduated as a Doctor of Chiropractic in 2003. Dr. Andrew moved to Whistler, BC to practice for 3 years. While in Whistler, Dr. Andrew treated professional skiers, snowboarders and mountain bikers, and he was also a lead instructor at the Whistler School of Massage and Spa Services where he taught Osteology and Clinic Pathology. In the fall of 2006, Dr. Andrew opened his own practice in the heart of downtown Langley. Dr. Andrew has a particular interest in pre/post-natal and pediatric care and has been a repeat guest speaker for Best Babies of Langley and Aldergrove. In addition he continues to be the chiropractor for many members of the local martial arts community as he is a 2nd degree black belt in Judo and a purple belt in Brazilian Jujitsu. In 2013, Dr. Andrew won the Canadian Judo National Championships in the Masters Division. Lois Griffey is a Registered Massage Therapist who originally comes from Victoria, BC. She completed her Massage Therapy Diploma from the West Coast College of Massage Therapy in 1996. Lois has been practicing in our office since 2002. Lois is available on Tues, Thurs, & Fridays. 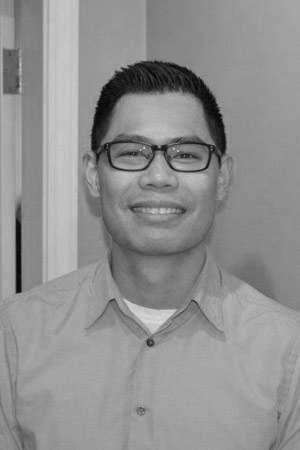 Carl Pingul is a Registered Massage Therapist who comes from Surrey, BC. He completed his Massage Therapy Diploma from the West Coast College of Massage Therapy in 2006. He has been practicing in our office since 2011. Carl is available on Mon, Wed, and Saturdays. Jay Lee is a Registered Traditional Chinese Medicine Practitioner who comes originally from Korea. Jay has taken some training in the USA and in Korea, and he completed his TCM Practitioner diploma from the Shang Hai TCM College of BC in Vancouver in 2006. He joined our office in 2007, and offers acupuncture and Traditional Chinese Herbs.